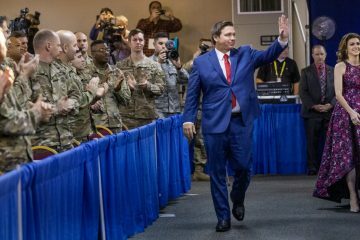 Overnight changes in the vote totals for Florida’s three contested statewide race show Republican Ron DeSantis‘ lead in the governor’s election slipping to 36,000 votes, Republican Rick Scott’s lead in the U.S. Senate election down to 15,000, and Democrat Nikki Fried moving out to an almost 3,000 vote lead for Agriculture Commissioner. 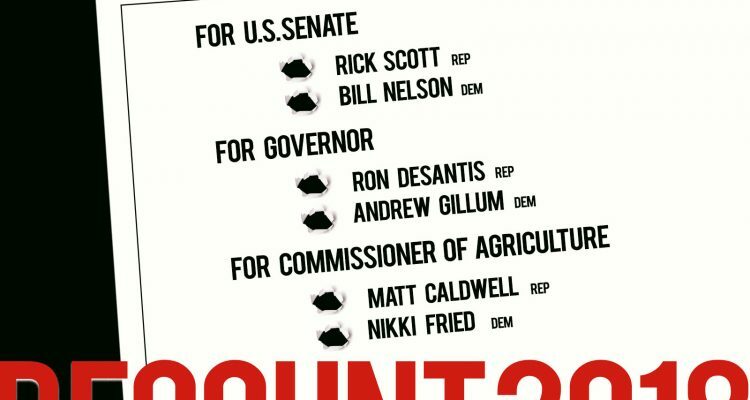 That calls for a machine recount of the governor’s election and hand recounts for the U.S. Senate and Agriculture Commissioner elections. 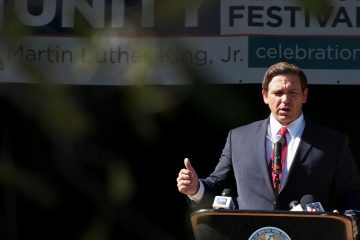 DeSantis’ lead over Democrat Andrew Gillum had slipped overnight to 36,211 votes ealy Friday morning. That’s 0.44 percent of the vote total, well below the 0.50 percent difference threshold, currently 41,048 votes, triggering a mandatory machine recount of the governor’s election. The number is slipping teasingly toward the 0.25 percent difference threshold, currenlty 20,524 votes, that would trigger a hand recount. 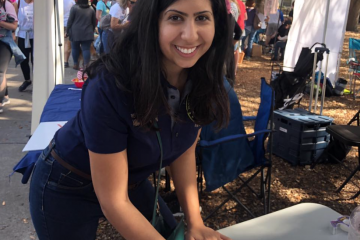 Scott’s lead Friday morning had slipped to 15,074 votes over Democratic U.S. Sen. Bill Nelson. That’s 0.18 percent of the vote total, well under the 0.25 difference, currently at 20,436 votes, triggering a hand recount. Fried’s lead over Republican Matt Caldwell had incrased to 2,915 votes overnight. That’s 0.04 percent of the vote total, also still well under the 0.25 difference, currently at 20,116 votes in that race, requiring a hand recount.